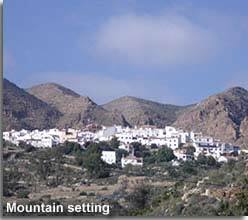 In the foothills of the Sierra de los Filabres, the whitewashed pueblo of Bedar rests on the mountainside 400m above sea level with views that reach to the Mediterranean sea. 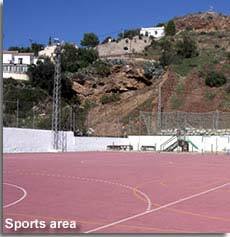 Combining a stunning rural setting with a convenient location, the main road network and the motorway are just a 10 minute drive down the mountain, the beaches of Mojacar can be reached within 25 minutes and Almeria airport is less than an hour away. 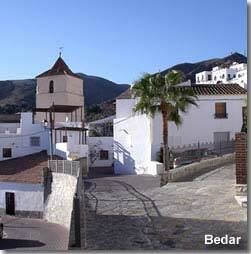 Bedar is located along the AL-6109 road that connects the valley village of Los Gallardos to the mountain village of Lubrin. 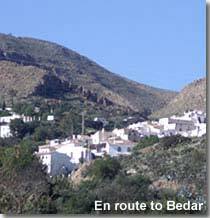 There are 2 entry points to Bedar from the AL-6109, the first (if coming from the direction of Los Gallardos) is Carreterra de Los Gallardos, signposted for Serena village, it gives access to the lower streets of Bedar before continuing to Serena. The main entry point to the village lies along the AL-6109 as the road passes by Bedar en route to Lubrin. On the approach to Bedar, and to the right, is the village car park, there are also parking spaces available on the main road at the village entry point, though these are limited. 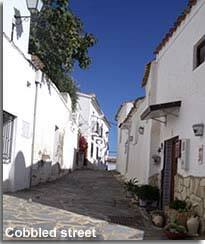 The access point of Bedar village is recognised by the bar / restaurant triangle. There are Spanish tapas bar restaurants on each side of the road and then a further bar restaurant is situated on the corner of the turning that leads in to Bedar pueblo. Additionally, and within seconds of taking the turning in to the village, there is yet another bar restaurant, all have outside terraces, a great way to start, and end, a visit! The recommended way to visit and fully appreciate Bedar village, from this point on, is on foot. 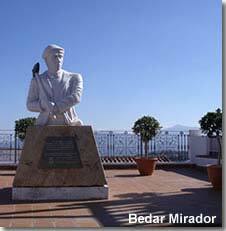 "in memory of those who lost their lives by extracting ore from the mines of the Sierra de Bedar mountain". Carved by Roberto Bolea Martinez using local marble from Macael in the Valle de Almanzora, the sculptor also engraved a turtle on the back of the monument, representing the Tortuga Boba, an important species in the area. An information board and village map is situated in front of the plaza, it provides route options for exploring, a paper copy can also be obtained from the village town hall, which is pinpointed on the map. 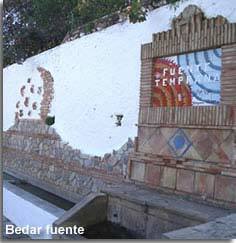 Places of interest include the restored Fuente Temprana natural spring water fountain along with the Lavadero public wash house (both of which are detailed in the Routa del Agua Bedar walking trail), and the Bedar chapel of La Ermita de la Virgen de la Cabeza which can be found in the Plaza de la Ermita. 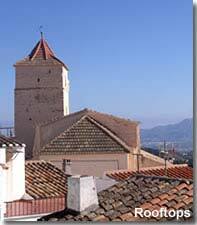 The parish church Iglesia Santa Maria de la Cabeza can be spotted above the village house rooftops, it is located in the Plaza Santa Maria, inside the church there are two oil paintings, one of San Gregorio and the other of the Virgen de la Cabeza, both being the patron saints of the pueblo. It has to be said, a simple stroll through the pueblo is exhilarating and inspiring in itself. Now, Bedar village, what can I say except if there was ever a place that could entice me to move away from my home village of Los Gallardos, this would most certainly be the one, and if you have read my Los Gallardos guide then you will know just how much I love living there. At the moment I am very lucky as Bedar is just a short drive up the mountain, best of both worlds for me then! 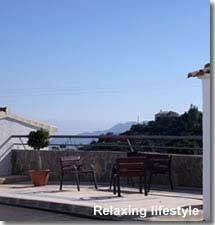 For holidays or relocation Bedar village has a great deal to offer those looking to experience the real Spain and the Spanish way of life, yet these days it comes with all basic necessities and many extra comforts for every day living. Tourism has reached this area to a small and select degree, in particular nature lovers, artists, walkers, and bird watchers are prevalent visitors. 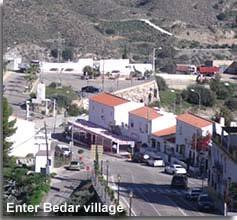 For day to day essentials Bedar village has a doctors surgery, post office, bank, chemist, small supermarket, bakery, and tobacconist. Outside of the doctors surgery is a pretty plaza, shaded by a huge tree, its focal point a portrayal to Bedars mining ancestry, what I great spot to wait for a medical appointment! Every Wednesday morning there is a local market for fresh local produce, a Sunday morning Rastro, a street market selling second-hand goods, is held in the car park area once each month. The Bedar school is a primary school, educating children from the ages of three to eight years, there is a computer centre for the children, a football team, and village band membership rewards participants from the age of five to adulthood with music lessons. For relaxation and enjoyment in Bedar there is the a municipal outdoor summer swimming pool, a small plaza with exercise equipment, a floodlit sports area which includes a play area for children, an arts centre, and some great eating and drinking establishment. 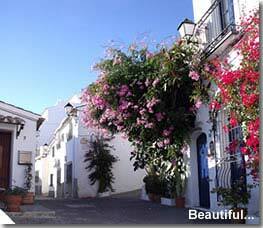 Not forgetting the local walking trails, and village fiestas, that are detailed further down the page. The community FACEBOOK page for Bedar Village People offers information on dates for the monthly Sunday Rastro as well as many other community events, including the fiesta dates, this is a fabulous page for finding out what is going on locally. Introducing a taste of the real Spain and this family run Bar Restaurant. 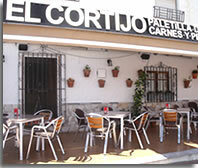 Bar Restaurant El Cortijo is the place to make a point to come to. 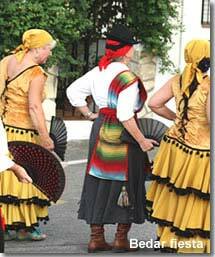 For locals it is already established as a place to meet, eat and enjoy. A genuine Spanish bar restaurant, mum Ana creates mouth-watering dishes using her own traditional recipes, cooked in their wood fired ovens or a la plancha, while sons Antonio and Ruben serve with warmth and humour. The donkey is no more yet the ambience and the welcome are always inviting. Olive Properties, owned and run by Tim and Joanne Desmond, is the only Estate Agency in Bedar, established in 2004 they specialise in rural villas, cortijos and village properties in Bedar and surrounding areas. With a second office in the neighbouring village of Lubrin, they have an extensive property portfolio and local knowledge that is second to none, in 2016 Joanne made her debut TV appearance on the popular TV series 'A Place in the Sun' as the area expert for the showcase of local properties. Taking pride in their personal service and attention to detail Olive will not only help their client in finding the right property to suit, they can also assist in every aspect of the buying process providing ongoing support throughout. 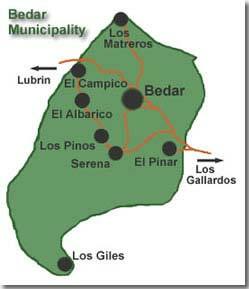 The municipality of Bedar also includes the smaller villages of Serena, Los Pinos, El Campico, Los Matreros, El Albarico, El Pinar and Los Giles, the latter two locations in fact being closer in distance to Los Gallardos than to Bedar. Each of these hidden gems are idyllic rural retreats within close proximity to the main villages and their amenities. 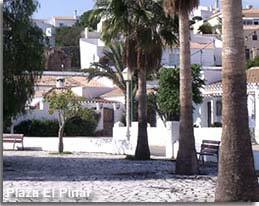 These villages are typically Spanish with a sprinkling of expatriates, of different nationalities, who have integrated their lives or made their holiday homes in these dream locations. 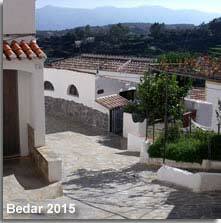 El Pinar de Bedar is an exception to this rule, the homes here are now predominantly British owned. 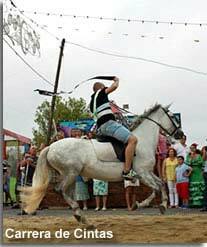 Bedar fiestas are a community event, for participation and spectating, it is a time when villagers join together and the streets come alive to celebrate age old traditions. For the precise dates of the fiestas please check with Bedar town hall. The Bedar Moros y Christianos fiesta is held in honour of the Virgen de la Cabeza, it is the main fiesta for the village and has been celebrated for centuries. This is a 2 days event that is held mid September. The essence of this fiesta is a time honoured custom of catching one of the "blessed" ring cakes that are thrown in to the crowds during the early May procession, those who are luckily and catch a cake can ask San Gregorio for a wish or a favour. Bedar´s first Christmas Market was held on Monday 7th December 2015. The theme of the day was Christmas, the heart was community spirit, and the venue was the under the grand marquee in the town hall square. 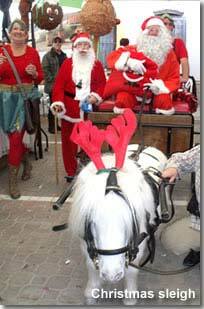 With children in mind a magical atmosphere was purposefully created, the event planning included games, activities, face painting, prizes, and Father Christmas receiving the children in his makeshift grotto after his grand sleigh arrival escorted by Christmas elves. For the adults the main attraction was the arts and crafts market offering unique Christmas gifts from creative locals, the hot mulled wine, scrumptious cakes and tempting pastries were not just an added bonus. The probable origins of Bedar date back to the 8th or 9th century when the land was searched and claimed by the Mozarabs, a period in history of Muslim dominance of the Spanish Christians in Spain. In the centuries that followed its was the Muslim Berber empire that populated the area and introduced their ingenious ways of irrigating and cultivating the land, evidence of which can still be appreciated today on the Routa del Agua walking trail. 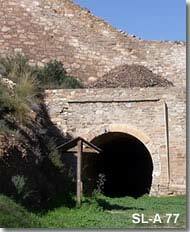 The district of Bedar is well recognised for its mining ancestry, historical data leads to a time in the early sixteenth century when Lorenzo Galindez Carvajal was granted the privilege to exploit the iron mines in the vicinity of the Serena, a policy that was designed to encourage Christian settlers in the occupied territories, and a plan that came to fruition. 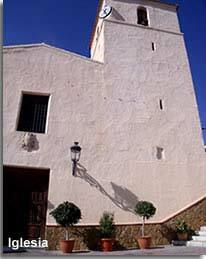 It was in fact the Roman Catholics who constructed the parish of Bedar in 1505 and the church in 1550. 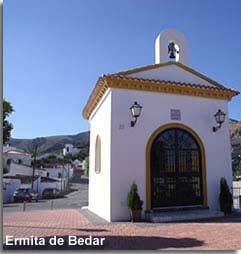 The Moors of Bedar were expelled in 1568 following the revolution of the Christians in Mojacar and Vera. It was not until the 19th century when mining exploitation began on a large scale basis, Bedar and Serena were both extracting iron from the mountains and El Pinar was the source of lead extraction. 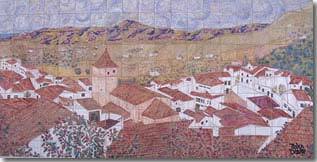 In 1888 an aerial cable was established between Serena and the port of Garrucha, it was the longest in Spain and the second longest in Europe, the railway construction immediately followed culminating in the arrival of numerous mining companies and small operators exploring the mines for iron, all of the municipality was now able to transport the ore to Garrucha for onward shipping. The Society of the Miners Union in Bedar was formed in 1916. The First World War and the mining crisis of the 1920s put a halt on mining activity. 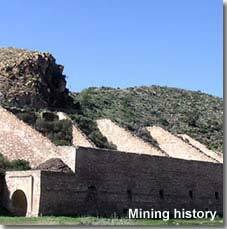 In 1952 the mines reopend and were exploited until the 1970s at which point all mining ceased completely. From the 1970s the area was discovered by tourism, and with tourist came property sales, certainly not on a grand scale but actually in perfect economic proportion to allow valued improvements in the infrastructure while maintaining the essence that brought people to the village in the first place. This trail allows the walker to appreciate the local mining history of Bedar, and enjoy the impressive landscapes and scenery. This is an engaging route that presents the local section of the old mining railway and in particular emphasises the way of life of the miners, with evident mine openings and the ramshackle ruins of the miners dwellings accentuating the poverty that the miners endured. 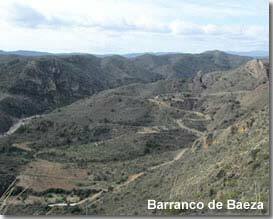 A high point along the route, the Barranco de Baeza viewing point, offers amazing panoramic views in the area of the Serena where mining was notably concentrated. The trail ends at the fuente in the beautiful village of Serena. The trail is signposted by way of a left hand turn from the AL-6109 between Los Gallardos village and Bedar village, two minutes drive after the turning for El Pinar if coming from the direction of Los Gallardos. 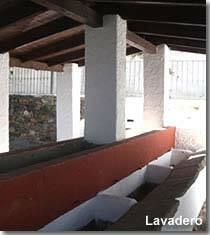 The route starts at the Cargadero de Tres Villas loading point which can be seen from the main road. This nature trail allows the walker to appreciate the agricultural history of Bedar, and again take pleasure in the awe-inspiring landscapes and scenery. A circular route that starts and ends at the same point, in Bedar pueblo. 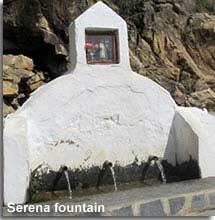 The first feature of the route is the Fuente Temprano, of Arab origin, it is also know as Alfaquira Alfaguara. This fountain was the water source for the village, the place where locals would come to fill their containers from the 2 water pipes, recently restored the fountain continues to provide for the village. There is a popular legend in Bedar, the fountain being the scene of the folklore, it is said that on one Night of San Juan a girl appeared from the spring combing her long hair and the boy that noticed was enamoured, thus the fountain, as a tradition, became the chosen place for the young men of the village to take their girl in confidence of her favour. Across from the fountain are the public Lavaderos, used by the women villagers to do their daily washing, and a place no doubt for them to meet and catch up with each other. Further places of interest along the route include La Balsalta, Balsa los Chorraores, Balsa Jamontar and the Los Chorraores mine. These water reserves and canals represent the ancient irrigation systems that stored and supplied water to the fields of the town in a system of terrace farming. 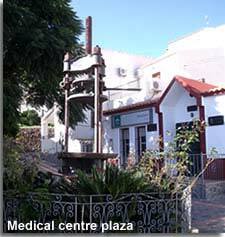 This route is circular and starts at the signposted description board situated in the plaza of Bedar town hall. Pamphlets for both these walking routes are available in the village town hall.